2017 has been the year of “crypto” in all senses – the number of ICOs broke all records and, relative to fiat currencies, bitcoin and ethereum have grown drastically over a rather short period of time. New markets, including art, could greatly benefit from the surging wave of blockchain technology, which is why we should evaluate its potential bearing on the industry at the end of this year, and launch a global event that will encourage young, creative designers to make a clear-cut connection between both art and blockchain. Moreover, ICONIC can offer an extra source of income and a chance to win up to 1 bitcoin for one piece of work. 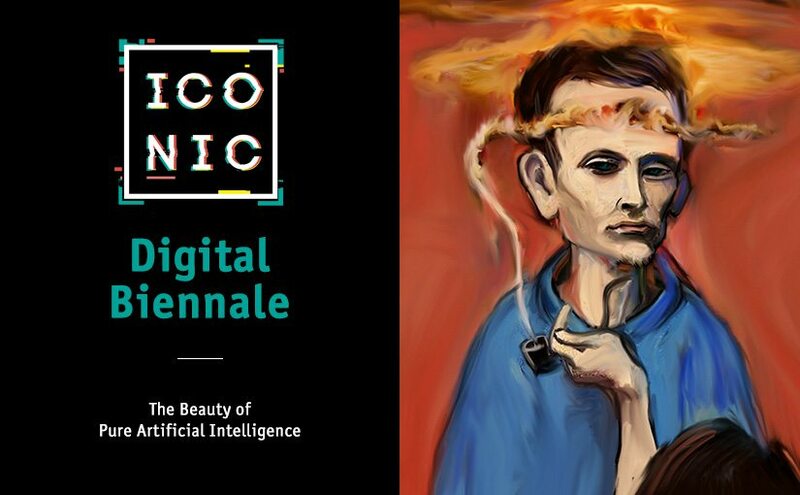 The theme for the ICONIC Digital Biennale, during which there will be a contest as well as the ICONIC Art Market, is “The Beauty of Pure Artificial Intelligence”. Both contest and art market will run from February 2, 2018, to February 7, 2018. Contestants will have the opportunity to submit their work up until February 1, 2018. The artists will have a chance not only to showcase their work during the event, as they upload their work to iconic.show, but also to compete for the main prize and sell their artwork for a price assigned by the curators. The curators, experts in art and design, and originating from different countries, will select the most unique, inspiring and unusual pieces to be showcased globally. To strengthen the link between the artists’ artwork and the world of blockchain, as well as new technologies, the prices will be determined in cryptocurrency. ICONIC are encouraging crypto-enthusiasts interested in art to join the ICONIC Art Market and become the patrons of digital art as well as its first collectors. In our vision, art markets of the future will look just like this, where digital art will compete with classic and contemporary art masterpieces in value. Buying and selling fake pieces of art is the subject of numerous headlines nowadays. We believe that blockchain is the future for an immense number of deals, as it can ensure copyright protection, as well as building a new kind of trust between the buyer and the seller. Our primary goal is to build a strong community, bound by its love for art and its various form, whilst also implementing blockchain into it. We look forward to artists, curators and patrons to join the ICONIC Digital Biennale and join us in building a future for a new and different kind of world of art.